Property 4: Experience a little piece of truly rural, friendly France. Property 7: Charming Timbered framed House, Private Pool And Large secluded Secure Garden. Property 10: Cosy and charming cottage on a large nature estate ideal for couples! Property 12: Green Shutters Gite In SW France. Village Location. Heated Swimming Pool. Property 13: Lovely rural gite in beautiful., peaceful location. 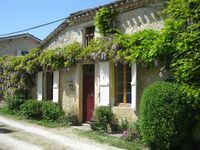 Property 20: A lovely village house in the heart of unspoilt Gascony. Property 24: Designers spacious Loft in quiet countryside. Property 28: Maison King is set in a Stunning village sleeping 8 . Property 32: Welcome to Sosiates! Property 50: Gorgeous farmhouse with plenty of atmosphere, and a large swimming pool.